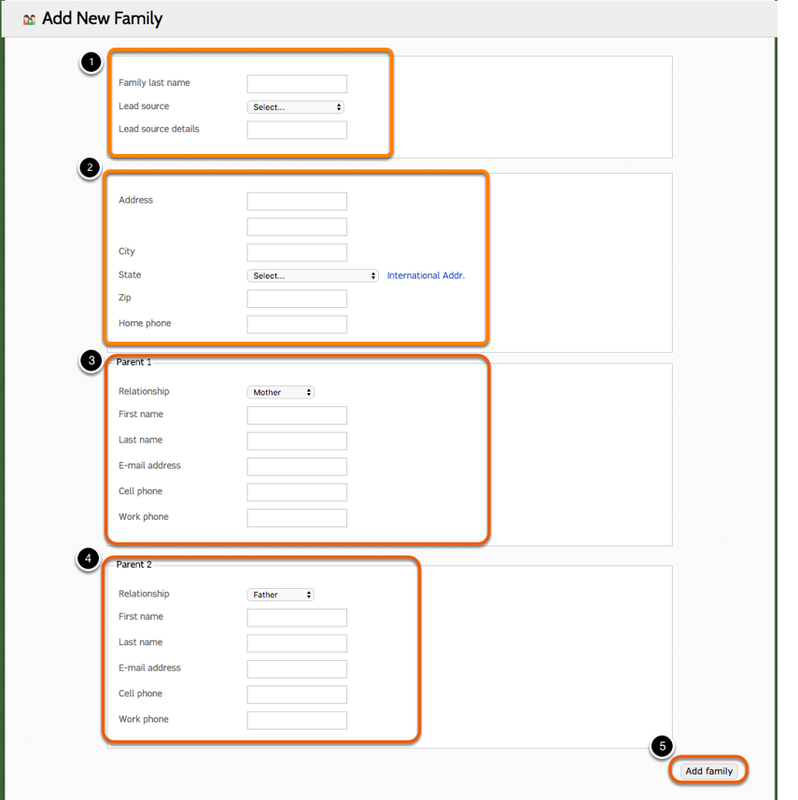 While it is best ot have families complete a Request for Information form online, if you need to manually add a family, you can do so through the administrative side of CampSite. 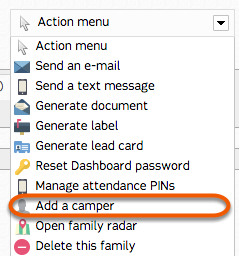 To add a new family, select "Add new family" from the Camper dropdown menu on the navigation bar. 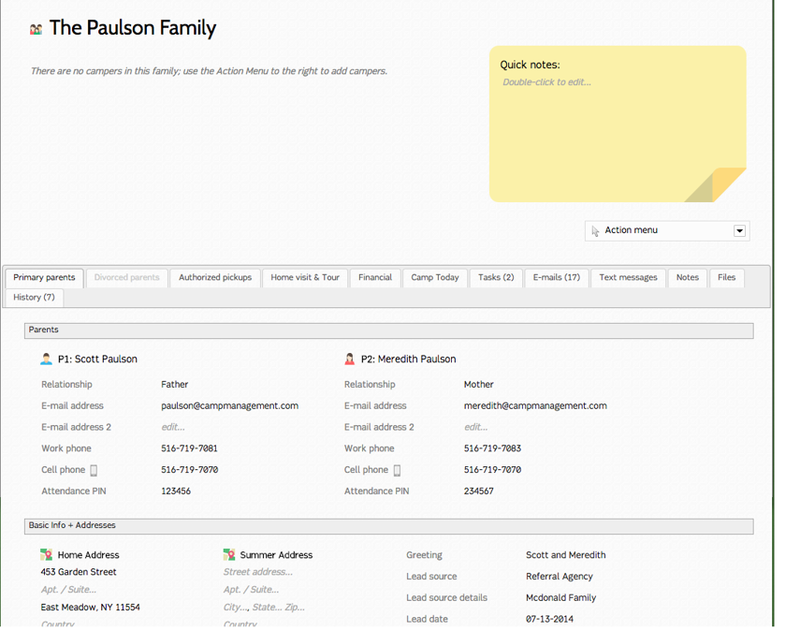 Enter family name, lead source, lead source details. Enter Parent 1 (P1) details and contact information. Enter Parent 2 (P2) details and contact information. Click "Add family" to save. Click "OK" to confirm that you would like to add the family. You will be brought to the family profile page. To add Campers to the family, select "Add a camper" from the Family Profile page Action Menu. Enter the camper's name, gender, and grade. You will be brought to the Camper Profile page. 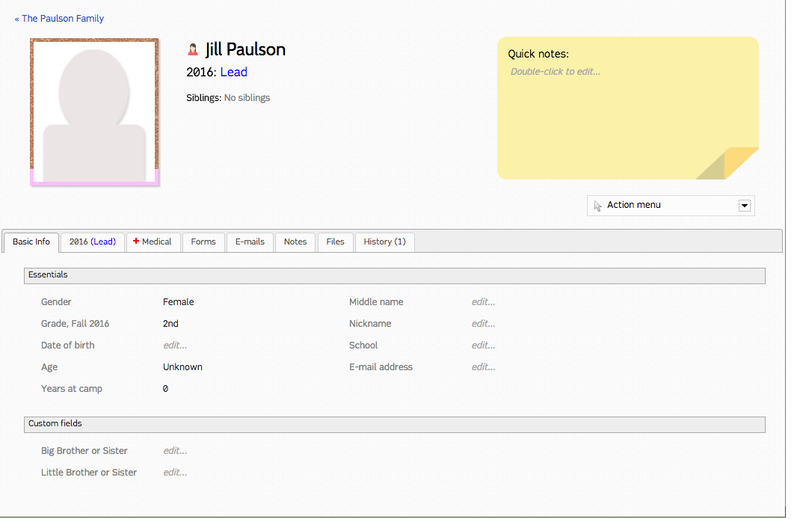 Complete camper details by double-clicking the fields within the Basic Info tab of the Camper Profile page. 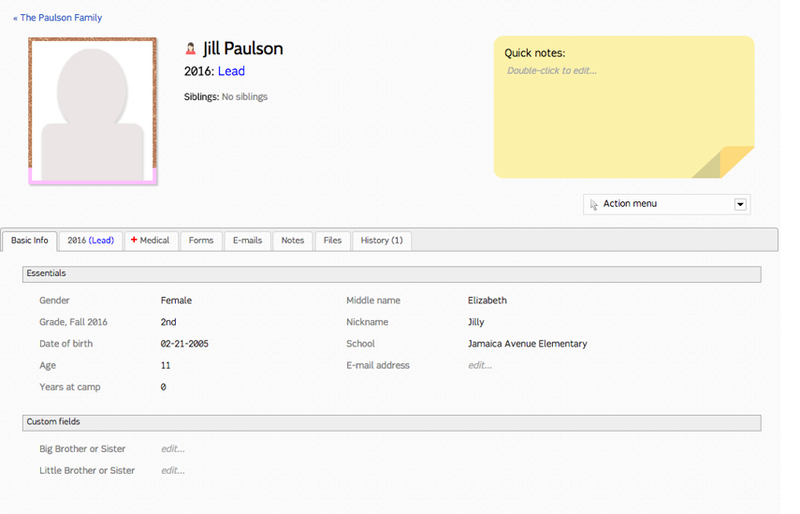 Before the family can login to the Parent Dashboard, they will need a password. 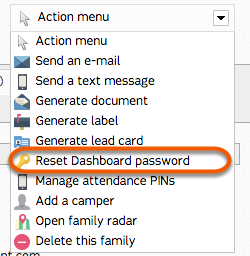 From the Family Profile page Action Menu, select "Reset Dashboard password". 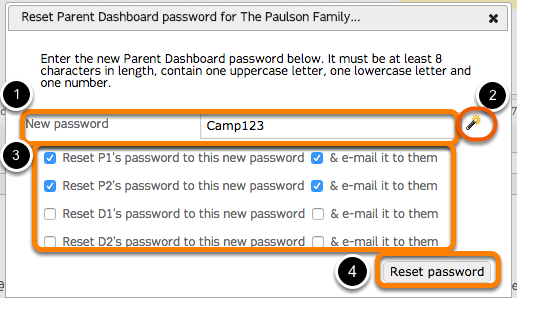 Or, have CampSite generate a password for you by double clicking on the magic wand. Select which parents you would like to reset the password for, and choose to e-mail it to them. The parents will be able to change their password once they login to the Parent Dashboard.